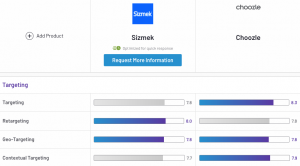 Update: Were you affected by the Sizmek bankruptcy news? We can help. Reach out. With so many options to choose from, it’s hard to know which programmatic advertising platform is the best choice for you. 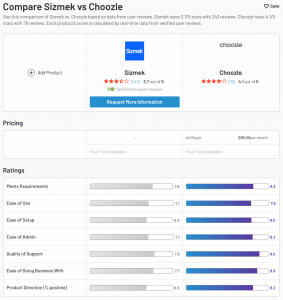 We took a side-by-side look at Choozle vs Sizmek/Rocket Fuel based on reviews from G2Crowd. Sizmek and Rocket Fuel have both always had minimum spend requirements for advertisers who use their platforms, and we can assume it will continue to be that way. 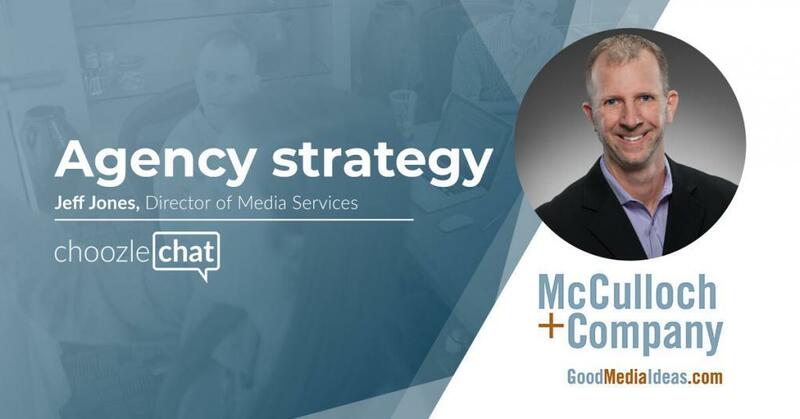 Having a monthly minimum spend requirement may not be a big to-do for those enterprise clients that consistently spend more than $10,000 every month on their digital advertising. However, not all organizations are able to not only spend that much but run their campaigns in such a fashion. One month may be a big spending month, while the next three consist of lower budgets. Choozle offers all advertisers a no contract, no minimum media spend requirement pricing model. All advertisers will be able to subscribe to Choozle at $99/month, whether their budget is $500 a month or $20,000 a month, and they’re empowered to spend what they feel is necessary on their campaigns. Choozle’s Creative Assets Library within the platform makes bulk uploading, editing, and organizing easier than ever. Also, updates are often made to the Geolocation List Library, Sites List Library, Universal Data Catalog, and more. Where the Sizmek DSP and Rocket Fuel once surpassed Choozle (based on reviews), Choozle consistently goes above and beyond by listening to our users and giving them better and easier ways to manage their campaigns. Choozle’s targeting tactics rival Sizmek/Rocket Fuel in terms of availability, execution, and ease of use. 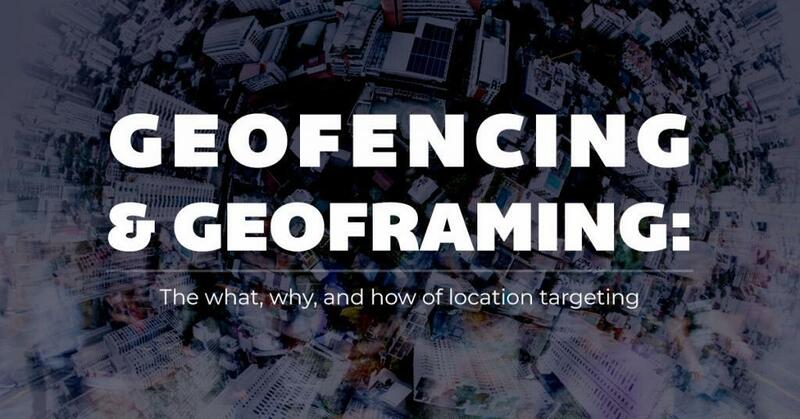 With an expansive data catalog and more granular targeting such as geofencing and framing, contextual keyword, and native, there will no doubt be a target segment that fits you and your client’s needs. 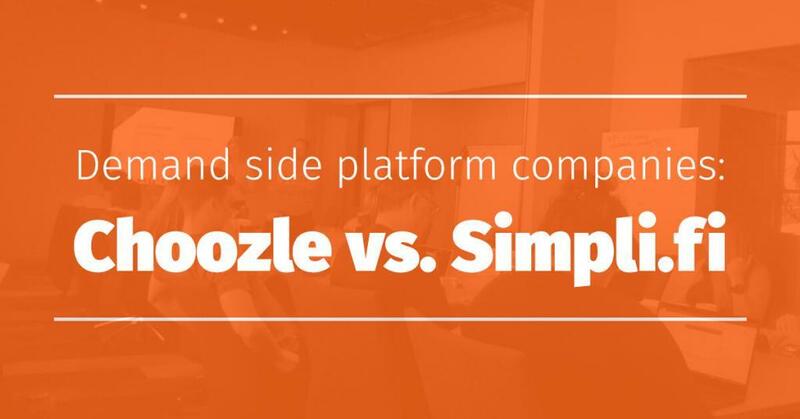 Additionally, Choozle makes highly coveted strategies like Connected TV, Private Marketplace, and more available to advertisers spending just $5K and up. Choozle’s unique three-tier system, placed on all campaigns, helps to reduce and prevent fraud. The first line of defense comes from our buy-side partners. They track patterns and monitor activity across IPs, publishers, users, and supply vendors to help detect and prevent fraud. They continuously scan for signs of fraudulent traffic like high impression counts on a single page due to a bot reloading the page, domain spoofing, multiple impressions won on a single bid and bots mimicking human behavior. They are placing all of these traffic sources on a network-wide block list. Our second level of prevention is our own. Choozle has two internal block lists to help further reduce suspicious sites and supply vendors. One is a continuously-updated internal pre-bid block list and the other is a list of historically low viewable sites. We’ve created an automated system to scan network-wide performance data and identify any suspicious inventory as either red (actionable) or yellow (cautionary). Any site or app that comes back red is automatically added to our pre-bid block list and any inventory that comes back yellow is investigated manually. This block list allows us to quickly address and remove any site that is or could be affecting our clients. The third and final layer of our system is at the user level. 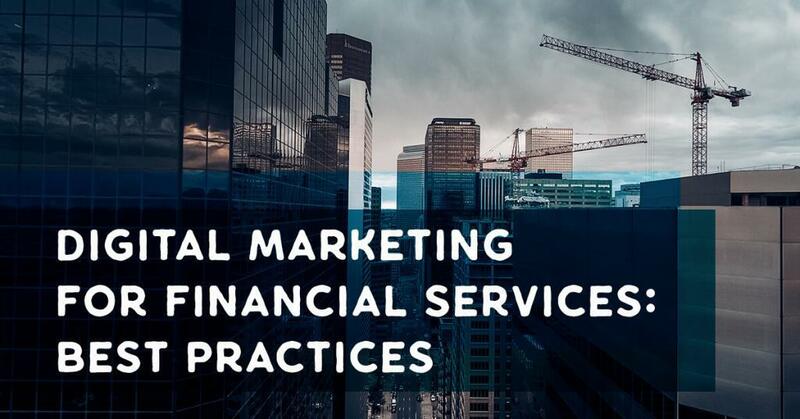 As a self-service platform, we heavily encourage our clients to build and use their own block and white lists to help reduce sites they are seeing a low performance on or that they deem to be fraudulent. 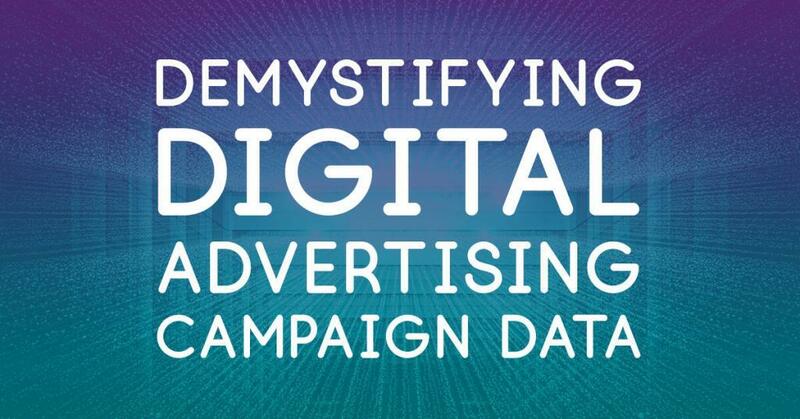 Download our report on combatting ad fraud in digital advertising. Our competitors are probably employing similar tactics to identify and block suspicious IPs and inventory, but Choozle’s unique positioning in the market allows for this 3-tiered system which is fairly unprecedented in the space. 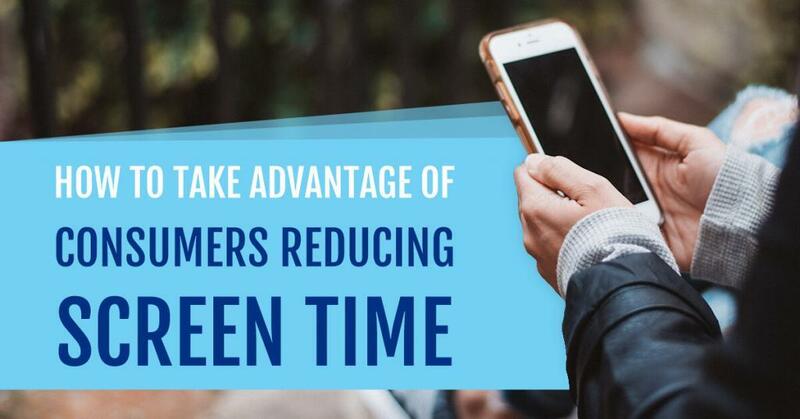 With more and more consolidation in ad tech, along with the increased availability of different data and targeting options, it will be things like continuously innovating technology and taking the extra steps to consistently ensure customer satisfaction that will set Choozle apart from the Sizmek DSP.